Hundreds of people fought the elements to make it to the One Art Space in New York City. The attendees were at the art gallery to celebrate the launch of rising public relations firm EMPKT PR. The firm, founded by Beatrice Kimmel, is an experiential marketing and public relations firm that “Kin-nects” and provides tools for clients that specializes in entertainment, lifestyle, health, and fitness industries. 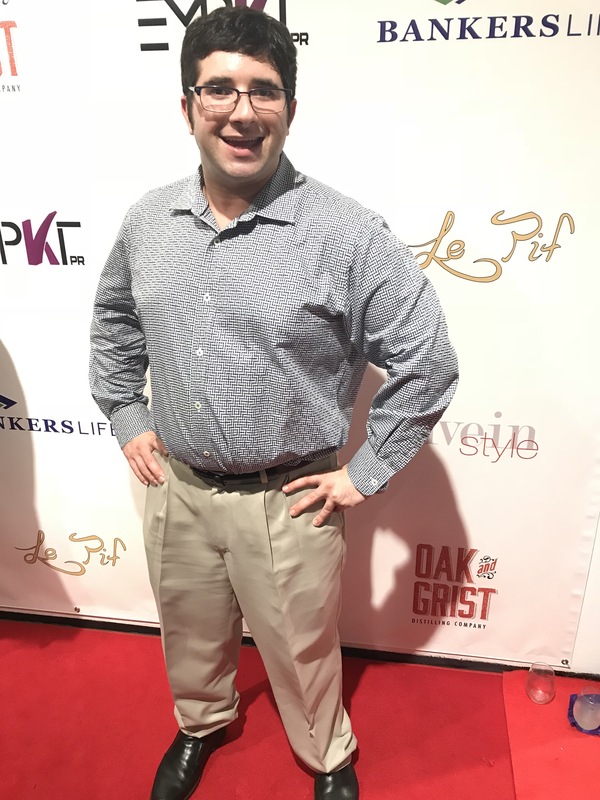 Guests immediately were greeted with appetizers from Le Pif French Wine Bar and Restaurant, who provided the food and drink for the EMPKT Public Relations party. The food was outstanding! 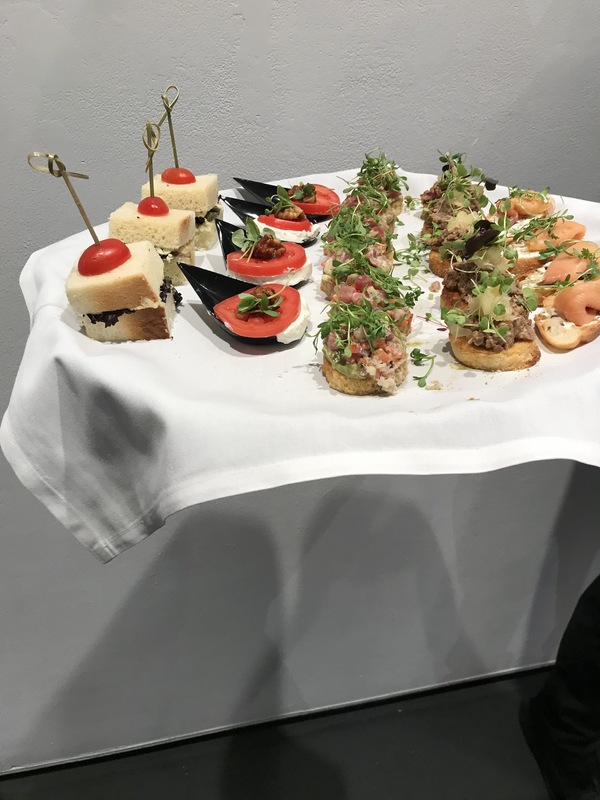 Waiters brought out countless trays of finger food such as chicken sandwiches, two different types of tuna tartare, and smoked salmon and cream cheese on a baguette. Also, there was impeccable meat and cheese spread that included duck breast, alp sausage, and a dish called truffle tremor. The Oak and Grist Distilling Company also sponsored the Gin, while Wtrmln Wtr and Aloe Gloe provided the non-alcoholic refreshments. 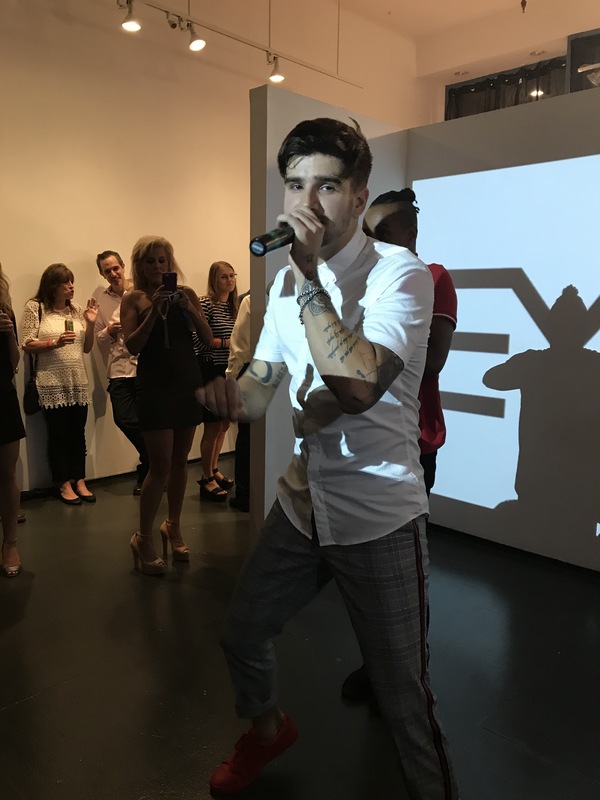 EMPKT PR’s guests were treated to two special performances. First, actress-dancer Akiko Tokuoka performed a dance routine with the assistance from the Iconic House of Ninja. The House of Ninja is a collective of movement artists that have made impacts with the Vogue dance style. Tokuoka was joined by John-Deric Mitchell, who delivered a show-stopping performance that included fierce choreography that belonged in the Dancing with the Stars ballroom. Next, a friend of the blog singer-songwriter Matt LeGrand took to the stage and gave the EMPKT PR guests an exclusive treat. The Chicago native, who is managed by Bryant Reid, premiered his brand-new single: “12:00 AM.” Recently, LeGrand shared in an interview with Jake’s Take that the song focused on two questions: “What would you do if you only had one hour to see your loved one every 24 hours?” and “How would you spend the minutes?” He was also grateful to EMPKT PR for inviting him to perform at the gala. EMPKT PR will give the event proceeds to Friends of the Children. Friends of the Children is a non-profit organization whose goal is to “break the cycle of generational poverty” by providing kids from 12.5-years-old and older with adult mentors. Michael Jordan, Russell Wilson, Ciara, and Ryan Gosling are among the organization’s celebrity supporters. Gary Clemons, the Executive Director of Friends of the Children’s New York chapter, spoke to the guests about the non-profit organization’s success including having 91 percent of their kids graduate from high school. Also, mentor Kevin Watson shared his success story about how his pupil transformed from flunking spelling tests to mastering them and teaching his younger brother how to spell. For more information about EMPKT PR, visit their website. For more photos from the event, visit my Facebook page!